Hey lovely ladies, how y’all doing? Today I’m going to cut to the chase, I’m going to share a tip on prayer with you all, which I find to be extremely useful. Ever had a time in your life where you found praying to be a challenge? Well today I’m going to openly say that I’ve been through phases in my life where I have literally struggled to pray, and I mean really struggled. I can also tell you that a few of my Christian friends have also found it difficult to pray, at certain points in their life. So if you find yourself in such a dilemma, don’t stress, you are not alone, trust me! I believe that for many Christians, prayer is a vital part of their faith, it’s how they communicate with God. Prayer is something that we should be incorporating into our everyday life, as it is one of the things which keeps us on the straight and narrow. Furthermore, the Bible encourages us to ‘Pray without ceasing’ (Thessalonians 5:17), and also states, that ‘we ought to pray without losing heart’ (Luke 18:1). So then why is prayer so difficult for some of us? Well I can tell you one reason why, and that’s because the devil simply doesn’t want us to pray. He wants to silence us, because he knows that our prayers move mountains. And sometimes I have to remind myself that, by speaking aloud the words ‘I can move mountains from my room’. Quite often I find that when I want to pray, or whilst I’m praying, that’s when random thoughts start to pop into my head. Distracting thoughts, thoughts which cause me to start to worry and fear etc. Then I start to get frustrated about the fact that my mind is not concentrated on prayer, and spend a lot of time asking God to forgive me for my lack of attentiveness, to the point I’m almost throwing myself a pity party. Then the Spirit moves me, and causes me to rise up, and then I begin to declare the word of God out loud, in order to silence the lies of the enemy. With fervent communion with God, a solution on how to keep my prayers and mind focused, popped into my head. I’d just like to make it clear that this tip of mine is NOT law, I just thought it would be useful to share with others. It may be of help to some of you, but it does not have to be strictly followed. The practical way in which I found helped give my prayer life a boost, was using the alphabet. I can firmly say that I do not use the alphabet to pray every day, and I have not been doing so lately, but I do believe that it did help refuel my prayer life, for that particularly dry season I was in. My greatest boost came from my number one supporter the Holy Spirit, who constantly encouraged me, and cheered me on during prayer. I will now go on to sharing an example with you, of how exactly I utilized the alphabet, during my quiet time. (Also if you have kids, or teach children in Sunday school, I believe that this tool would be a great way of teaching them how to pray). A Shop/Business Abercrombie & Finch, Adobe etc. A Person Anne, Amy, Annie, Arthur, Adam etc. A fruit Apricot, Apple, Avocado etc. A country Antarctica, Angola, America, Antigua, Afghanistan etc. A State/County Arizona (America), Avon (England) etc. Now you may find it strange that I have prayed over things such as fruits, vegetables and wild animals, but God has actually given us authority over His creation (Genesis 1:26). When he placed Adam in the garden of Eden, Adam’s responsibility was to care for that garden, and everything in it (Genesis 2:15). Therefore, I see it as our obligation to pray over the production of our fruits and veg. To pray against famine, and to pray that farmers have a bountiful harvest, because at the end of the day, farming is where we get much of our food from. And yes we should pray for animals, because extinction of one species, has a knock on effect on the whole ecosystem, and when God created the animals He was pleased with what He saw, because he said ‘It was good’ (Genesis 1: 21 &25). The bible states that a righteous person cares for the need of animals (Proverbs 12:10). I believe it’s possible to care for animals without being a vegetarian, but that’s just a whole new topic in itself. Overall I hope this post has been inspiring for you all, and that each of you have taking something away from it. But bye for now, take care and God bless. Love Christian lady after Gods own heart. Yaaaay its bible study time. I don’t know about you, but I love to research on what I read in the bible. My first point of contact is to always ask the Holy Spirit to reveal to me what I don’t understand, rather than relying on man (pastor, bible study teacher or textbooks). This is not to say that what those in positions of authority have to say is not valid, after all God placed them in their positions for a reason. But I always think it’s best to ask God first, about questions you have regarding the bible, since His very own words are the bible. I am very glad to say that writing up posts, further motivates me to study, and research on what I read in the bible. Because I use the bible as my main reference tool in my blog posts, I believe that it would be very wise for me to study about the holy book I love so dearly, and talk about so much. I’d just like to remind you that nobody holds the monopoly of truths and only God understands the bible in its entirety, and no man can. As God says in His word some things are hidden to man (Deuteronomy 29:29)! So imma cut to the chase, daily dose of the word will be short posts about passages which I read in the bible, that minister to me in the particular season My posts will also include topics which I’ve had no previous knowledge on, until the Spirit of God chooses to reveal it to me through the bible. It’s always fascinating to observe that no matter how many times you read the bible, you will ALWAYS learn something new. The topic which I will be discussing today is taken from Proverbs 31. I know you’ve probably heard so much about this passage, and how it relates to being a godly wife, but the last time I read it, I saw something different. Proverbs 31:16 ‘She considers a field and buys it; out of her earnings she plants a vineyard’. Now I just want you to take on board, that this passage says out of her earnings, not her husbands. I know it’s very common for us women to have a ‘husband list’, and one of the things on our list is ‘he gotta have money’, or ‘he has to be business minded’, or ‘he HAS to be the provider’ (Before you start throwing stones, I know that not ALL women may have such sentences on their list, but some of the women I’ve spoken to actually do).Now the major problem with the last statement is, that we are NOT to rely on man (Psalm 118:8). Man can fail us, but God will never fail us. Also saying that a man HAS to be the provider, puts a husband in a position which is meant for God. God is our provider, and in all circumstances we should trust that He will supply us with all we need. Being a wife of noble character also involves being able to provide for your home through using the skills, and abilities which you have. I do not intend to promote the ‘I don’t need no man, I’m a woman who can do it all by myself’ attitude. What I’m trying to express is, that as a wife you also have a role to play in house provision, BUT what you must understand is that ultimately God is the one who provides. In life we face challenges, your husband may lose his job, you may lose your job, or the company you work for may reduce your wages because of government cuts. But because you are not dependent on your husband, but on God, you are able to stand upon Gods word which says ‘the Lord will provide (Yahweh Yireh)’ (Genesis 22:14). So that’s my devotion on Proverbs 31:16, it’s always so fascinating to see how much you can take from one verse in the bible. I think it’s always nice to bring the focus back onto God when discussing scripture. Even though Proverbs 31 tells us what it mean to be a noble wife, I also learnt that I should solely be dependent upon God for my provisions. So I hope you enjoyed reading the FIRST part of Dose of the word, and I pray that God continues to reveal Himself to you through His word. Love from the godly lady after Gods own heart! Hey people, how y’all doing?? Well I thought that I would write up a quick piece on the things which I enjoy doing as a young single woman. Firstly I’d just like to emphasise that I know, there’s soooo much work we can do for the kingdom of Christ as unmarried folk. But I also believe that marriage should not altogether stop us from doing God’s work. So whether married or not, there will always be work for you to do for the kingdom of God, until our Saviour returns. For the bible says ‘look around, for the fields are ripe for harvest’ (John 4:35). With that said I would like to express that I intend to take a non-spiritual approach, in explaining to you the joys which I find in being ‘single’. Possibly in the near future I’ll write up some of the joys I have with being ‘single’, in relation to working for Gods kingdom. 1) I get to spend a lot of time with my sisters, and I will truly miss all the fun we have together. The slumber parties we throw in each other’s rooms, the snacks we share together at night in our beds, the jokes we have, laughing together and at each other, playing silly games, playing MONOPOLY for hourssss. This is something I will surely miss, and I know I will not be able to do as often when I become a married woman, by the grace of God. 2) Just laying in my parent’s bed, and falling asleep whenever I feel like. Honestly I think there’s something extra special about parents’ bed. 3) Watching TV series with my dad after work, and family movie nights on the weekend. So fun man. 4) Catching jokes with my mum, usually laughing at how she can come out with saying the most funniest sentences. 5) I enjoy having that sense of peace, which comes from having parents that know when I am upset, before I even tell them. I love to hear their sound, and encouraging advice. 6) Ordering food home on the occasional weekend, or late night, when we are all too tired to cook. That’s when I truly appreciate the chicken n chip shop. I love me a good tasty chicken burger. And I love me some CHINESE food too. 7) Going on a random family drive, with my parents and sisters. 8) Going to my family’s favourite food restaurant on a special occasion. 9) I enjoy having family prayer time, in the car, or in our living room. So there you have it, my list on what I feel are the perks of being ‘single’. My list may seem insignificant to you, but as they say ‘it’s the little things that make life big’. I prefer to say ‘it’s the little things in life, which make a big difference’ lol. My word of advice for us ‘singletons’ out there who desire to be married is, ENJOY this season. Mainly because you can never, EVER, get back the time you lose. The past belongs to the past, so be grateful, and appreciative of the time which God has blessed you with now. Use this time to build up great and godly memories, and confidently wait upon the Lord (Micah 7:7). For God in His sovereignty will bless you with your hearts desires (Psalm 37:4), according to the will He has for your life. Have you ever experienced a time in your life where you are in the process of waking up, and you feel a strong presence in the room. You try to scream or shout for help, yet this simple ability you have to speak suddenly disappears, and becomes a mammoth of a task. You try to use the muscles in your body to help you turn over, to help you speak, but you simply can’t do anything. I’d just like to tell you, do not fret, for you are not alone. Personally it is one of the scariest things I have ever experienced in my life, and it’s happened to me MORE THAN ONCE. I give thanks to God that I have not experienced sleep paralysis again in the last few years, because it is not something enjoyable to encounter. When I faced my episodes of what they call ‘sleep paralysis’, I always felt a very dark presence in the room, automatically I’d always want to shout out the name of Jesus, but could only repeatedly say so in my mind. There has been times where I felt like I was being strangled or raped, even though I’ve never faced or been through such circumstances in my life. While I hadn’t encountered such violence in real life, I felt within me that what I faced in my mind, is what it would be like in actuality. At times I felt like I physically had to fight someone off me, like I was fighting for my life. From this I immediately knew I was under spiritual attack from the devil. As a Christian I firmly believe that there are angels and also demons, as this is exactly what the holy bible tells us. Matthew 25:41 ‘Then shall he say also to them on the left hand, Depart from me, you cursed, into everlasting fire, prepared for the devil and his angels’. With that said, I shall go on to discuss why I believe this topic is so important to talk about. The main reason in which I want to share my experience with you all, is so that anyone going through the same experiences which I previously faced, doesn’t feel condemned. It is so easy for us to start thinking ‘what have I done wrong’, or ‘what am I doing wrong’. Yes sometimes through certain actions we take, we can provide the enemy with access into our life, but this is not ALWAYS THE CASE. One can also start to think and believe that they are a ‘WEAK’ Christian. You may even think that your prayers are ineffective, and that you do not deserve Gods protection. You begin to feel like you are not worthy enough to come before Gods presence, so you give up on prayer altogether, and think wants the point. This is exactly what the devil wants, he wants to rob you of your confidence of coming before Gods throne of grace. This is the very path which I found myself along, I didn’t even think I had the right to talk within the church, because these attacks kept on happening to me. I felt that in order for me to share my faith and the gospel, my life had to be in perfect order, and free from spiritual attacks. Which is a dangerous and false belief, I mean Paul wrote most of the New Testament from a prison cell (Philippians 1:12-14). He faced a lot of persecution, yet God still used him. You facing a difficult trial does not mean that you cannot be used for God’s glory. I always like to remind myself that even though Satan intends to harm me, God intends it all for good (Genesis 50:20). I also choose to remember ‘when I am weak, then I am strong’ (2 Corinthians 12:10). These scriptures are of constant encouragement to me! I really don’t want you to feel condemned, or suffer silently. I believe the Lord uses such situations to strengthen our character, it also helps us to develop patience endurance (Romans 5:3-4). What we must realise is that when we face trials, and go through challenging life situations there is ALWAYS hope. I just desire for all who face such situations to feel encouraged. The devil likes to instil fear within us, but we should be strong and courageous. The very thing you are afraid of (Satan and his demons), God has given you complete and total authority over (Luke 10:19). So do not let this circumstance make you fearful, do not be afraid of the devil, begin to exercise your authority over him. You must begin to use the name of the Jesus, for demons are subject to the name of Christ (Luke 10:17). My penultimate note of encouragement to you people today is… There is GREATNESS in you. The devil knows this truth, better than your own self. He knows that you can accomplish great and mighty things through Christ Jesus who strengthens you, and that is why he will try everything in his power to stop you from believing the truth. He will throw every obstacle he can in your way, to get you to give up. One thing I’ve noticed is that whenever I experienced such spiritual attacks (what they call sleep paralysis), it would always be at a point in time where I was drawing closer to God. Or when God was using me to minister the gospel to others. I believe as Christians that we must be smart at identifying Satan’s tactics, and not let them get the better of us. I always like to look back to the story of Jesus birth, to gain strength concerning the matter of spiritual attack. Satan knew that Jesus Christ was God, and that the baby born in Bethlehem was the King of kings. So he used King Herod to carry out his work to kill all the young boys, with the hope of killing Jesus Christ the Messiah. So you can see that Satan knew that Jesus was GREAT, so he tried everything in his power to try to stop Jesus from fulfilling His potential. And as a result Jesus parents had to flee to Egypt. From this I’ve observed that, the trials we face in life may lead us to unexpected destinations, but this does not make us failures. We should also never allow trials to lead us to giving up, or prevent us from fulfilling our full potential. Christ faced many challenges in life, yet He still fulfilled His purpose, He still chose to lay down His life for you and me. His death on the cross and His resurrection, was Him accomplishing His calling. And through His great act of selflessness all mankind has the opportunity to receive the free gift of salvation. Finally, I believe that God is using my very fear to help me encourage others. I remember when watching Nollywood as a child, I would not be able to sleep at night, because of all the witchcraft they showed in like every scene of the movie. If you grew up in a Nigerian household, you probably understand where I am coming from lol. I used to have sleepless nights after talking about evil spirits, and could not even read Christian books which discussed such matters. But now I am a transformed individual, the very demons I was afraid of, I now know I have the authority over them, authority given to me by Christ Jesus, Amen (Revelations 2:26-28). I am now unafraid to wage war against the kingdom of darkness through prayer and fasting, praise be to God. So people stay blessed, and stay encouraged. Remember you are not the only one who is going through such battles (spiritual attacks), do not keep it to yourself. Always find a Christian brother or sister to share with and confide in, as their prayers and words of encouragement, will be of great help. The bibles says the prayer of a righteous person has great power. And most importantly cast your worries onto God, for you were not designed to carry them yourself. I want you to realise that sharing your struggles with others is so important, especially with God. My greatest advice for you today is NOT TO BOTTLE THINGS UP. The godly lady after God’s own heart. A big hello to all the ladies reading this post, I hope y’all are well (and also to my male folks who just happen to be passing by). First and foremost I’d just like to say a big thank you, to all who have shown support to this blog. 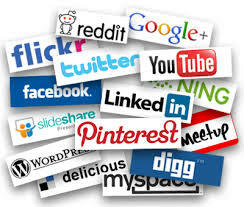 Whether it be by liking a post or sharing posts with friends and family, your love is much appreciated! It’s also another great way in which we can help spread the word of God to the masses. Now onto the MAJOR issue I’d like to discuss today, following on from the sentence ‘spreading the word of God to the masses’, how have you done so today? This week? This month? I do not ask this question to you today, with the intention to make you feel condemned, as that is NOT my motive at all! My motive today, is to highlight that there is someone hard at work with his several agents, trying by all means to spread a message. And guess what, his message is certainly being spread, seen, and heard by a multitude of people. His message is pure evil and his intentions are also evil. This individual and his followers intend to prevent people from receiving the message of truth! I’m sure you have guessed the person/people I am talking about by now, but if not don’t fret as imma tell you who they are anyway…SATAN and his demons! It makes me SOOOO angry to see the devil go around destroying people lives, and robbing them of the opportunity of knowing God and Gods word. As a soldier of Christ I desire what God desires, which is for none to perish but for all to have eternal life (2 Peter 3:9)! I personally feel that the devil is really infiltrating the media, from billboards to adverts and cartoons, it seems almost impossible to avoid material of sexual content. He really has a stronghold over the media industry, and I believe it is something we should seriously pray about! My desire is for God’s word to infiltrate the minds of people across the world, and for Christians to have prominent positions within the media industry. I believe the devil is using social media to attack churches. There is a lot of verbal persecution geared towards the church in this day and age. I also find the media to be very one sided, mainly highlight churches faults and sins! I hardly see the media videoing the good deeds/charity work carried out by church folk. Media highlights preachers faults. But one thing we must remember is that God forgives AND forgets sin (Hebrews 8:12). And we know this is true because God says love does not keep a record of wrong (1 Corinthians 13:5). And we know that GOD IS LOVE (1 John 4:8). As Christians sometimes we end up making things worse for the body of Christ, by our speech and actions. By us continuously replaying another person’s sin, we are actually not doing ourselves any favours. Usually constantly speaking of someone else’s faults, leads us to gossiping. We can also prevent others from coming into Gods house, because we leave them feeling fearful. They feel like if they slip up, that’s it, the whole church will know about their mistakes, and they’ll be verbally attacked (having multiple bullets of condemnation fired their way). Anyway who are we to hold unforgiveness when Christ has already forgiven (assuming they’ve confessed their sin)! Also we are to look to Christ, not to our pastor or another Christian brother or sisters. We are not to put man (this also includes women) on a pedestal as only Christ is perfect! Taking that point into consideration it should not surprise us when others make mistakes, because all have sinned and come short of Gods glory (Romans 3:23). That’s the whole point of why Jesus came, because no one is without sin (1 John 1:8 and Ecclesiastes 7:20). Also the bible says a righteous man falls 7 times but gets back up (Proverbs 24:16). I do not say this with the intention of saying it is ok to sin, or live in habitual sin, I’m just trying to give those reading a clear and balanced illustration of the point I am trying to make. We must also understand that praying for a brother/sister/leader in Christ will do more good, than chit chat. To be quite frank chit chat accomplishes NOTHING, and pulls you away from God, as you indulge yourself in the sin of gossiping (Proverbs 10:19, Proverbs 18:7-8 and Leviticus 19:16). Also remember we are called to rebuke in love, so if you are in a position where someone is accountable to you, correct them in gentleness so they will not be discouraged (Galatians 1:6). The second issue I have identified with regards to the negative attributes of social media, is that the devil uses it as a tool to dictate to people how they should live. I feel that girls in particular are a specific target for the enemy, in this area. We are very much in the firing line of the enemy concerning sexuality and how we should look/dress. Unfortunately society has brainwashed people into thinking that girls have to walk around practically naked, with a lot of makeup on, in order to be perceived as beautiful. This is not to say that men do not go through their own social media battles. What I have recently observed is that guys are pressurised into thinking, they are not ‘manly’ enough if they don’t have a banging body. They got to have those abs and guns otherwise they are not winning. They must have several women falling at their feet. Males I want you to understand that the size of your muscles, does not determine whether you are a man or not. As Andy says ‘You could be a boy until the die you lay in your grave’. Both sexes are also encouraged to jump in bed with everyone and anyone, because life is all about satisfying your own needs and desires. It doesn’t really matter about hurting someone else. The thing is the bible warns us against living to satisfy our sinful nature (Galatians 6:8). Another trending theme I’ve taken notice of is relationships. The media expresses that, if you’re not in a relationship, or have never been in one, you are simply not a human being. Sounds stupid or harsh when you hear it put in such a way, but that’s just me not beating around the bush, and uncovering the nasty reality of how vile social media can be sometimes. The beauty feature that has everyone hyped up in our present day, is having a big bum. Society’s perception of beauty has left many women in debt/bankruptcy, due to them having plastic surgery which they can barely afford. Damage to women is not only financial, but also psychological and emotional. Many women and young girls sadly feel that they are not beautiful, or good enough, when lined up against society’s standards and expectations. I would just like to end this paragraph by saying I don’t believe there’s anything wrong with wearing makeup. I just feel issues arise when people feel uncomfortable within themselves, and are solely dependent on makeup/artificial beauty. To the extent where they feel they cannot be seen without makeup, and wouldn’t dream of leaving their house without it on. We must learn to LOVE ourselves, we must learn to love and except that we are fearfully and wonderfully made (Psalm 139:14). I would also like to clarify that there is nothing wrong with having a big or flat bottom, or a large or small chest, praise God for making you the way He desired you to be created and formed. Rejoice in your beauty. There will never be another you! My third and final observation on the tactics the enemy uses, through social media is bulling. Several people have been bullied via the media. Many people have had an embarrassing moment recorded or pictured, which has gone viral, and has received many horrible and sarcastic comments. This leaves people feeling extremely hurt and can leave people being fearful of going out in public. I must admit that I am also guilty of laughing at someone’s embarrassing moment, which is not a kind or respectful thing for me to do to a fellow human being. It is so great to hear about bullying awareness schemes, but I still feel that some people are unaware of what bullying is. Verbal bullying is a serious problem, as the effects of verbal bullying are not always physical. Many people do not see a crushed spirit or broken heart, especially those hidden behind a smile. Unfortunately social media has paved the way for keyboard warriors to attack and bully who they want, when they want. Name calling or using any form of abusive language over a social media medium i.e. twitter or Facebook IS BULLYING, full stop. Sadly bullying drives some people to the point of despair, where they feel the only way out is to commit suicide. And we know that this is exactly what the devil wants, as he goes about like a roaring lion looking for people to kill, steal from and destroy (1 Peter 5:8 and Romans 10:10). I really want us to understand that bullying is a SERIOUS matter, and that we all can do something to bring a stop to its prevalence within the media. It does not matter if the part we have to play in ending bullying is small or big, what is important is that we actually do something. 1) Post a word of encouragement on Twitter/Facebook. 2) Post images inspired by Gods word and share with family and friends on Instagram. 3) Send encouraging Whatsapp messages. 4) Record/picture the good work which God is doing in your life/church (Do so as the Spirit leads). Never feel forced to share all personal details of your life, as we all like to keep certain things private. I’m aware we all like to keep some matters CONFIDENTIAL (and frankly I don’t blame you, due to the sad fact that some people abuse they way they use the internet)! 5) Pray over the media. 6) Fast regarding media issues. 7) Speak out against bullying, and do not help spread hurtful videos or pictures of people. 8) Christian artists need financial support in order to help promote their work and reach many more people. (This is something I felt God personally ministering to me about). I feel lead to financial support Christian artist by either purchasing their album, OR by donating to their ministry. Just imagine if every Christian in the world donated a penny towards Christian media ministries, it would go such a long way. I’m sure you’ve heard the statement ‘every little helps’, and truly it does. There are 7.3 billion people in the world, just imagine collecting 1p from every person, you’d end up with A LOT I’ll leave you to do the math! But no one should feel forced to give, or give what they do not have. We should give cheerfully as the bible says (2 Corinthians 9:7). Stay blessed beautiful women of valour. I hope you are all blessed and well, and I also hope your prayer life is not stagnant but very much flourishing. I thought that I would continue to write a few more messages about prayer, as it is extremely important to keep up a great and constant prayer life. The bible says in Matthew 4:4 ‘Man shall not live by bread alone, but by every word which precedes the mouth of God.’ So we can never talk about prayer too much, or ever pray too much. As mentioned in the previous post, prayer is a fundamental aspect in helping develop our spiritual life. Another way in which we can heighten our prayer life is through fasting. As a believer you should desire to take part in the things which Christ Jesus did. We should incorporate fasting into our lives, and try to make it a practise. The bible says that some things require fasting as well as prayer (Matthew 17:21). One of the main reasons why I would encourage Christians to fast is because Christ fasted himself. We as believers are called to imitate Christ, and fasting is one of the ways in which we can do so. Many scriptures within the bible also tell us of the great benefits which come from fasting. After Christ completed His 40 day fast in the wilderness after being tempted by the devil He left filled with the Holy Spirits power (Luke 4:14). So we can see here that, fasting can help us overcome temptation and also provides us with supernatural power from the Holy Spirit. Exodus 34:28-29 tells us about what Moses achieved whilst fasting. He was able to write the Ten Commandments, and his face shone so bright when he came down from Mount Sinai, after spending time in Gods presence. In all honesty I would love for my face to shine so radiantly from spending time communicating (praying) with my Heavenly Father. I find that when I fast I am more sensitive to the voice of God, my spirit man is more attentive to the things of Gods kingdom. Fasting heightens my ability to do more work for the kingdom i.e. as I’m fasting now, I am able to write up this post and be a blessing onto others. Fasting accompanied with prayer helps aid in breakthrough. There are some stubborn problems out there that will only shift when prayer and fasting are conjoined. Fasting can help one focus on God more, which is a great plus when it comes to prayer, it just helps limit the number of distractions. Sometimes we do not realise how much of our time and energy can be focused on food. When I fast I tend to find that my thoughts are not geared towards when and what I’m going to eat and the time it would take for me to cook something up, when compared to when I’m not fasting. I would just like to make an important point, which is that you should allow the Holy Spirit direct you on when and how long you should fast for. 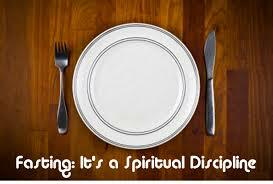 Personally the Spirit has ministered to me and encouraged me to make fasting a weekly habit. For some it may be once a month or once every two months. The most important thing is that we allow the Holy Spirit to individually direct us and not copy others. This does not mean that we should not get involved in cooperate church fasting. If you are new to fasting you could maybe try skipping your breakfast, and if you can lunch also. People fast for different lengths of time, some fast for 12 hours and others 24. Another important note which I’d like to mention is that if you have any medical conditions you should consult your physician before attempting to fast. Food is not the only thing you can be abstinent from, things such as social media sites are things which you could give up and even TV. As well as food these activities can also become idols in our lives and consume A LOT of our time. I myself had to take a long break from playing Candy Crush (hangs head in shame), that game is waaayyy to addictive, if you let it get the better of you!